I don't know about you, but I am very driven with the results of my workout. The time spent, calories burned, miles conquered. It's my way to measure if I did more then last time, went further, or burned more. It helps to keep me pushing for better results, because otherwise I am just going against what is in my head - and let me tell you I can justify anything that goes on in there in a heartbeat! I have used heart rate monitors on and off through out the years in my workouts. 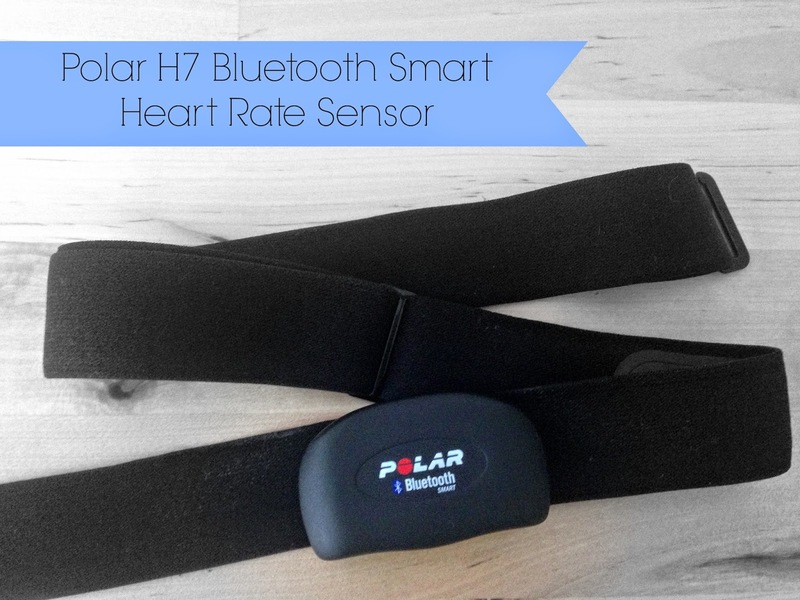 I recently (i just realized that I now consider anything in the last 6 months recent, time flies by too quickly) started using the Polar H7 Bluetooth Smart Heart Rate Sensor, and it has been my favorite heart rate monitor I have ever used. I had it on my Christmas wish list and was psyched to start using it when my sister got it for me. It's a sensor on a strap that goes around your chest. What I like the most about this heart rate sensor is that it pairs with an app on your smart phone, versus a watch. All of the ones I have used in the past have paired to watches, and I never knew what was what or if my settings were correct. The app has to be my favorite part, as well as with this sensor you can easily see with the app where the battery life is and it is easily replaceable. With my past straps the sensor was integrated, and when the battery died you had to either buy a whole new strap, or send it in to Polar to get the battery replaced. I'm sure I have yet to maximize the use of the Polar Beat app. I just use the free app (they have upgrades available) but I think even the free app has so many great features, and is easy to use. 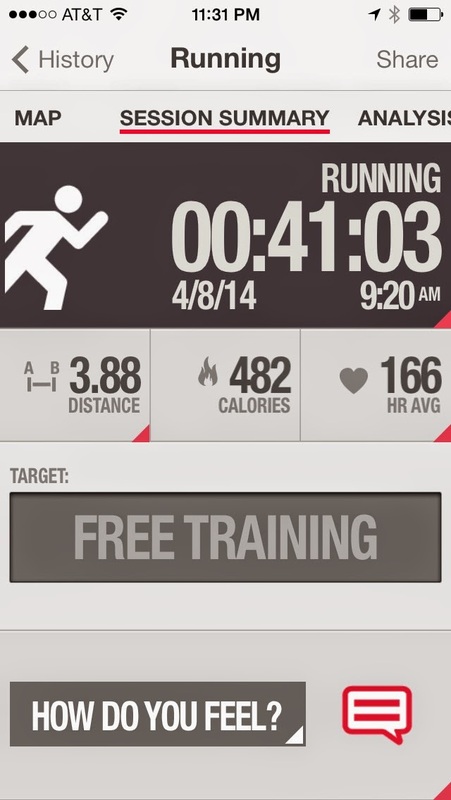 The main page of the app keeps track of your workouts and miles logged so far this week. It also lets you set your workout target, it could be miles you want to accomplish, a calorie goal, or free training which means it will just track your progress until you are finished. 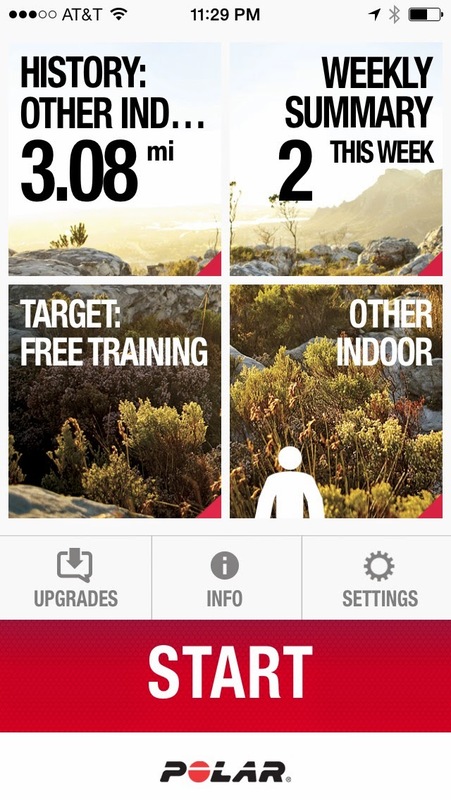 You can also select the activity you are tracking from outdoor running, to treadmill, to weight lifting, or even many others. Each workout has a summary page, letting you know your distance, calories burned, and average heart rate for that workout. But they take it even further and you can check out the amount of time spent in your different heart rate zones, as well as other details. 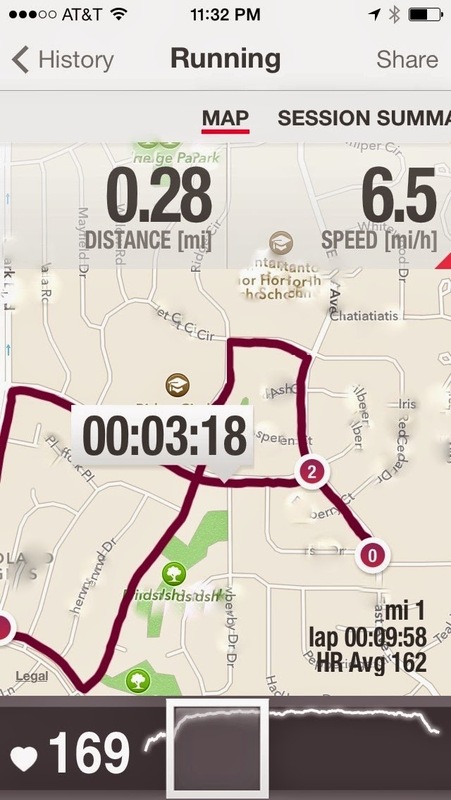 My favorite thing about this app are the details it provides for outdoor running. Not only does it keep track of your path and your distance, but so much more. While you are running it will chime in with the mile mark that you are on, your time, and your average heart rate. When you are done you can glance back at your run and it will tell you your speed and heart rate along the entire path that you ran, I am amazed that it can give you all of those details. I think it is so cool. I think it would probably be even cooler if I was actually training for something. But honestly I just use it to motivate and track myself. I do better if I am accountable to something, even if it is just opening up my app to see that I have only completed 1 workout this week, when it should read 4! 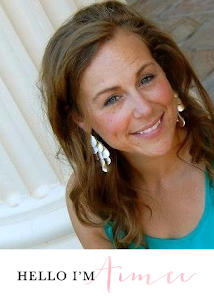 How do you hold yourself accountable for your workouts, do you have any favorite gadgets you use? Wow, this is an awesome workout band! I used to use one of these when I did Kosama - a bootcamp-like class/gym back in Iowa. I'm in the market for some kind of motivator at the gym, so maybe this is it! My husband uses this too and loves it! !